America, more than many nations, is obsessed with youth. Unfortunately, the flip side of this issue is that we are also notoriously forgetful of our elderly. They are our society’s most vulnerable population and they often fall victim to poorly run nursing homes. Poorly run nursing homes can breed an increased amount of nursing home abuse and neglect cases. Though there are many compassionate, well-run nursing homes in the U.S., we still see nursing homes that continue to be underfunded and understaffed with under-trained employees. We are facing a crisis in the healthcare industry, and those on the front lines are the first to see it. Nursing homes find it hard to hire enough staff but must remain operating. This situation often leads to nursing home abuse and neglect. The few staff members on duty become burnt out and can become abusive. More commonly, nursing home residents become victims of neglect simply due to a lack of time and resources. If you suspect any nursing home neglect or abuse, then you should contact an experienced nursing home attorney today to discuss your options. There are many different signs you can watch out for when it comes to finding nursing home neglect and abuse. 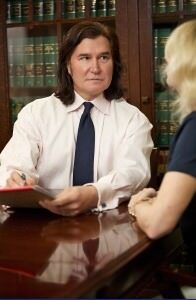 Being aware of these possible signs also make the decision to find a nursing home attorney much easier. Two red flags when it comes to nursing home neglect and abuse include poor personal hygiene and unsanitary living conditions. Most of the nursing home residents will typically require assistance when it comes to these everyday tasks. This includes dressing, brushing their teeth, bathing, and other hygienic activities. Not receiving the help they need and becoming exposed to unsanitary living conditions often lead to malnutrition, dehydration, and other illnesses that can surface due to the unsafe living conditions. A lack of proper nutrition can also lead to other physical issues as mentioned above. In addition, a lack of mobility and the lack of exercise may also come into play. along with physical issues, one may also see an onset of psychological and emotional harm as well. There may be several different reasons for nursing home neglect and abuse. However, none of them are excuses for improper care and treatment. Several societal and even cultural forces can cause a decline in the quality of care found in nursing homes. Not every nursing home operates the same and this means it is always important to do your own research regarding the nursing home in which your loved ones will reside. Understaffing is one of the biggest reasons for nursing home abuse. The few workers they have are spread too thin which means the quality of patient care will suffer because there are not enough people on staff to help. Understaffed nursing homes then lead to stress and exhaustion for the few workers they have employed. Stress and exhaustion can cause them to become inattentive to the residents. This inattentiveness then leads to neglect and even frustration. The nursing home staff may also be inexperienced and less knowledgeable about how to properly care for the elderly. Not knowing what to do can lead to many costly mistakes. The residents can then suffer physically and emotionally, even if the abuse is not intentional. While nursing home neglect and abuse may be a common occurrence in some facilities, there are still ways it can be avoided. Take your time researching the nursing home so you are sure that your loved ones will receive the proper care and treatment they deserve. If you suspect any kind of abuse at all, do not hesitate to have your loved one relocated to another facility. Find a facility that has adequate staff and resources available so no one is left behind. The Statute of Limitations varies from state to state. A lot of the time a nursing home abuse case is handled as a criminal law matter because acts of violence may have been committed. Do not hesitate to seek help and ask questions regarding the laws in your state. It is better to be knowledgeable and prepared instead of left in the dark. 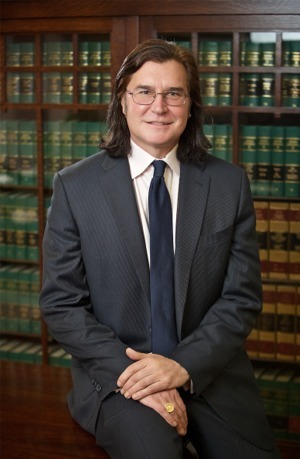 An experienced Nursing home attorney is familiar with the laws in your jurisdiction and will be able to better assist you if you decide to seek legal action. In most states the statute of limitations for nursing home abuse and neglect is between two and three years. This applies if the abuse does not fall under the criminal act threshold. If it does, you may have more time. If you suspect that your loved one is experiencing poor care in a nursing home, or has experienced a specific dangerous fall, for instance, which could have been avoided, contact the Oregon Nursing Home Attorneys at Peterson Law Offices. Oregon law is set up to protect our elderly population, but it cannot work if incidences are not brought to light. Even if you’re not certain how an injury happened, it never hurts to have the law on your side. Contact us today at 503-280-0888 to discuss your concerns. Our knowledgeable staff can let you know immediately what your chances are for legal action and what your next steps should be. Our elderly loved ones are too important to leave in the hands of those who would hurt them.